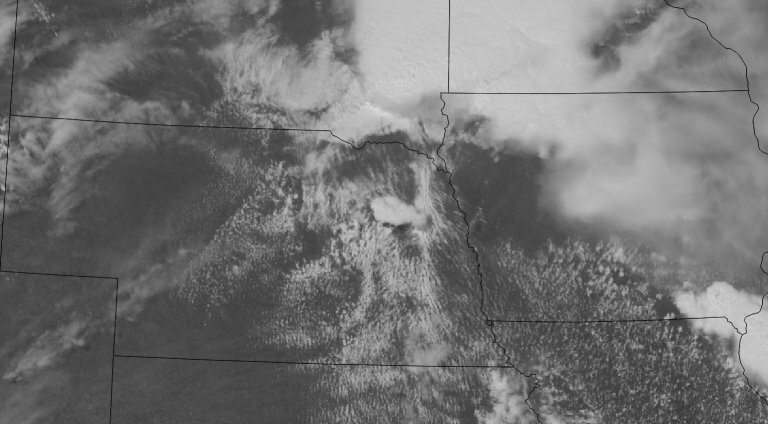 A quasi-stationary boundary draped across the United States from a low in Colorado through Nebraska, Iowa and Minnesota to Lake Superior co-located with mostly 40kt zonal flow in the mid-levels was the focus for storm development as a weak low was expected to drift into western Iowa throughout the day. Target for the day was eastern Iowa around the Iowa City area as upper 60-low 70s dew were pooled south of the boundary across Iowa into Illinois bringing surface based CAPE into the 4,000 J/Kg regime. Saturday was my final day of chasing after almost a full week out in the Southern Plains and I wasn’t looking forward to the long drive back to Michigan. The prospects for storms looked pretty decent, as it was the day before. The Storm Prediction Center had a nebulous region of slight risk issued spanning from the foothills of Colorado and New Mexico across Oklahoma and into the Mid-Mississippi Valley. The focus for storms was easterly upslope across the foothills of eastern NM and CO and latching on to any of those as it rolled east.